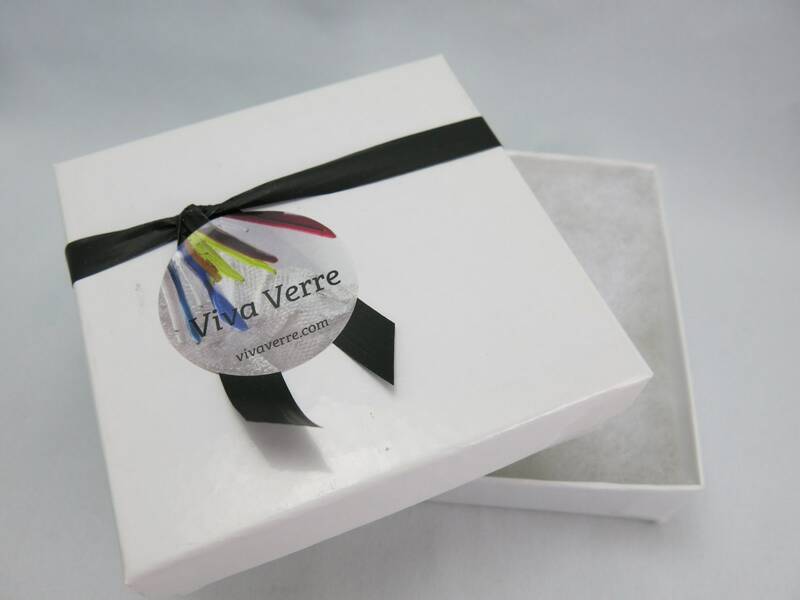 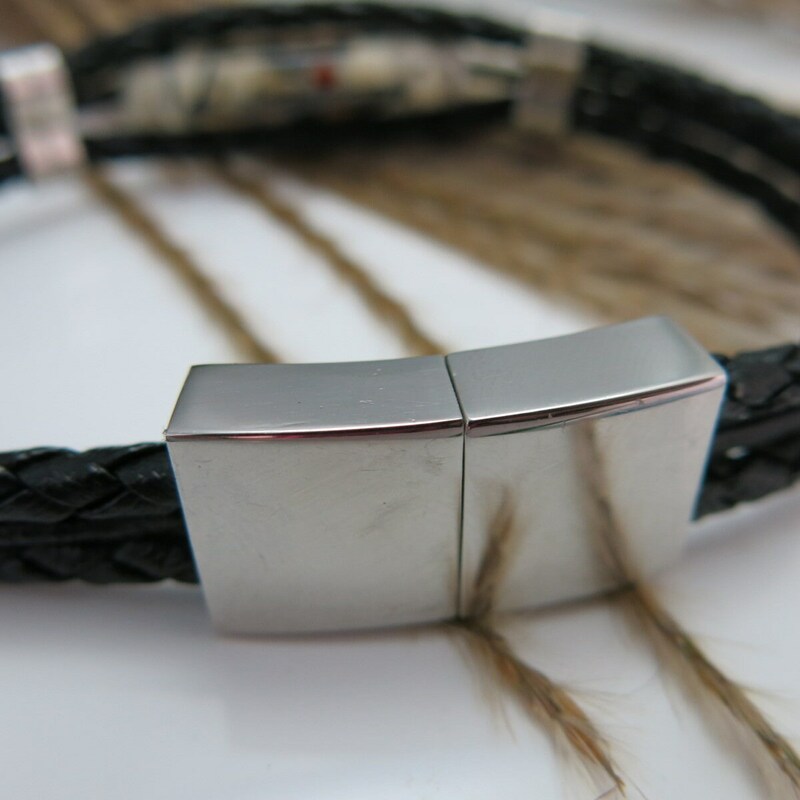 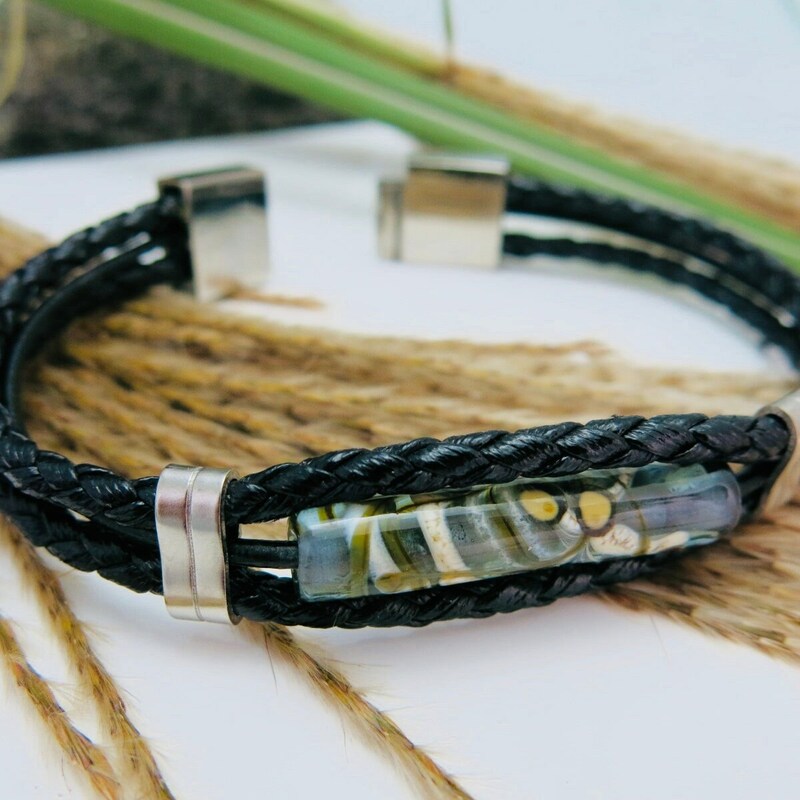 This bracelet is made of black braided leather. 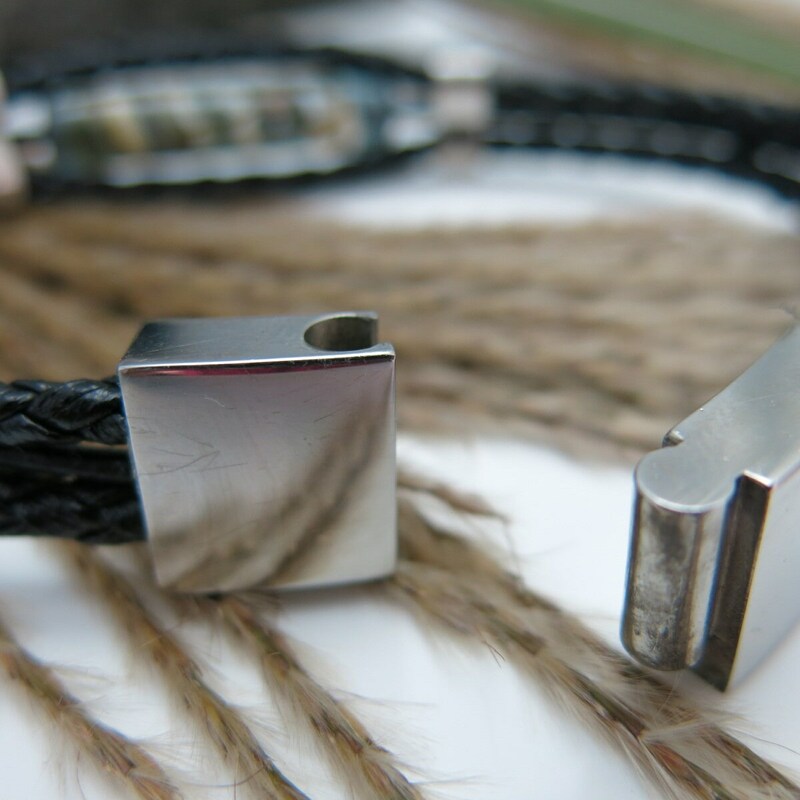 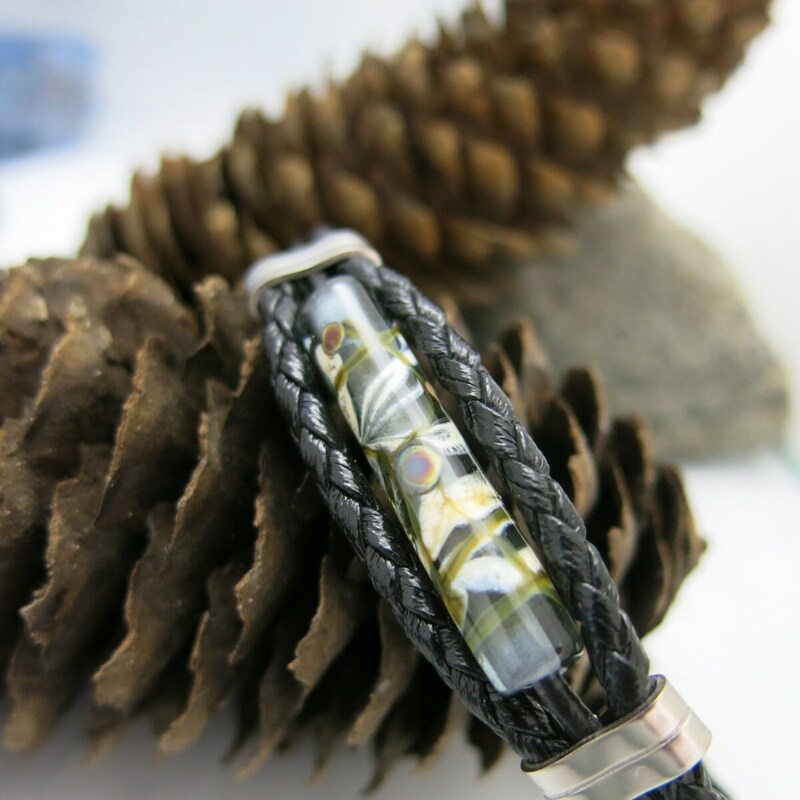 Loving, embedded stainless steel clasp. 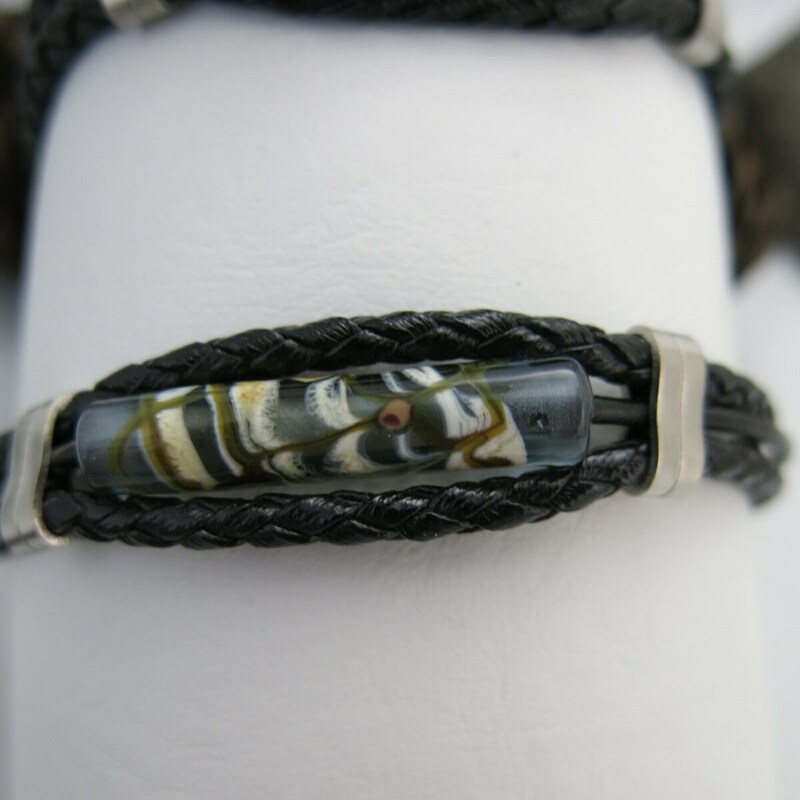 Worked Lampwork Glass Bead shade of beige, grey and black.